On one level, it’s quite amazing that the Chevrolet Camaro has been in production since 1966, with only a brief layoff from 2002-2010. 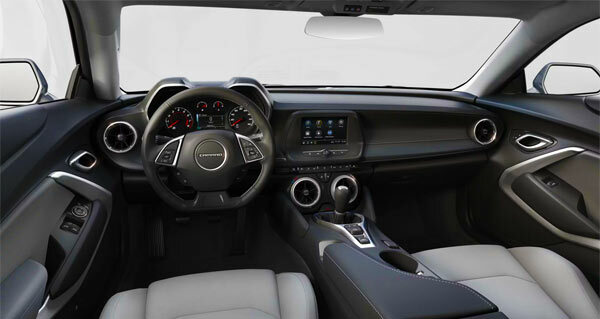 The muscle car(how dare you)/pony car now comes with a 10-speed automatic with paddle shifters developed in association with someone called Ford as a $1,595 option on the SS model above the standard six speed manual. 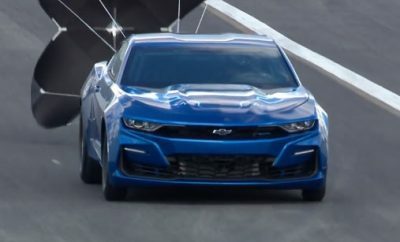 It’s not just a new fancy transmission that has been included on the latest Camaro. Internally, there is a new infotainment system with 8.0-inch touchscreen, forward collision warning, a new front end, a new hood, redesigned headlights, LED accents and classic quad taillights. The front end has caused some controversy, having gone a bit Darth Vader, but the inclusion of the 10-speed automatic now translates into a 0-60mph time of 3.9 seconds and a 12.2 second quarter-mile at 118mph, besting the six-speed manual version. Power comes from a a naturally aspirated 6.2-liter LT1 OHV 16-valve V8 producing 455 hp and 455 lb-ft of torque all perched on GM’s Alpha platform. Fuel economy comes in at 16 mpg for city driving and 27 mpg on the highway(16/24 mpg for the manual version). Shifting through the gears in the automatic is smooth up to a reasonable cruising speed and with a small tap of the throttle, gives the required push forward without skipping a beat, helped a lot by Chevy’s lift-foot gear from the Camaro ZL1. 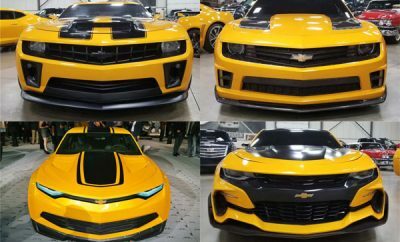 Talking of the ZL1, if you need more power you can upgrade to the ZL1 which will give you a supercharged version V8 with 650HP and 650lb. ft. of torque, but also comes with a federal gas guzzler tax of $1,700. 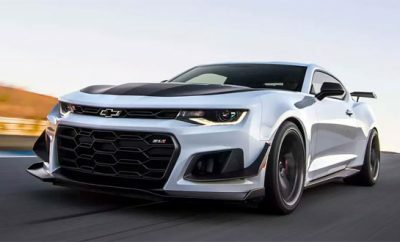 The track is where the Camaro SS is most at home with the GM Alpha platform feeling rocksolid and everything weighing in at 3,739 lb. Everything is kept planted helped along with the sport suspension and 20 inch wheels and summer tires. This means you going to get an extra stiff ride on regular roads, but it’s a small price to pay for such sportsmanship. The SS immediately shows that it can launch and take on winding roads with ease. Accurate steering with focused suspension keep everything well planted, with nifty features like lift-foot gear-hold mode for staying in the same gear round twisty roads and launch control and line lock for optimizing your launch times. This is a nimble machine that is happy in the daily commute, but really needs a track to show off its best. The standard seats are okay, but the $1,595 option Recaro performance bucket seats as in the 1LE package would have been better. The 2SS model also has standard driver-assist features not found on the 1SS. These include side blind zone alert with lane change alert, rear cross-traffic alert, rear park assist, rear-vision camera and rear camera mirror and forward collision alert only on the coupe. The 2SS trim also brings things like heated and ventilated leather-trimmed front seats, a head-up display, a Bose audio system and a a heated steering wheel. The inside isn’t the largest environment in the world. visibility out the back is only average and although there are rear seats, you’ll have to practice a little yoga before folding yourself up into this area. But this is a sports car first and foremost, so reduced space is just a given. 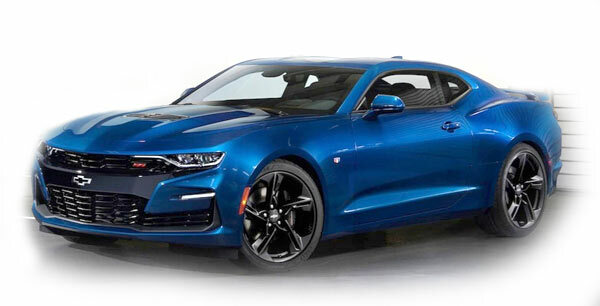 The 2019 Chevrolet Camaro 2SS with a 10 speed auto comes in at $44,590. The manual version starts at $42,995. Some of the tasty extras you may go for include the $1695 adaptive magnetorheological dampers, $895 for the performance exhaust, $495 for the Infotainment 3 with satnav and the $1595 for the Recaro sport seats. There’s also the 1LE Track Performance Package at $7,000. Auto or manual? The automatic is as fast as the manual version, but which you choose will really depend on your regular driving needs. If you regularly drive long distances, I’d go with the automatic. Evaluating the latest Camaro is a bit like reviewing a Star Wars movie when you’ve seen the rest of them. You cannot help but compare the past to the present. The exterior tweaks may have raised some eyebrows, but that’s really subjective as the rest of the car provides fantastic driving fun for the money. The Camaro is as much pony car as it is sports car these days and provides all the V8 niceties you could expect from a modern pony car with the handling and performance. But this also begs the question of how it lines up against the 2019 Mustang GT. The Mustang GT has a similar price range from $36k-$47K with 460-480HP, a 0-60mph time of 3.8-4.6 seconds and an 18-19 combined mpg. There’s also the Bullitt edition with 480HP to contend with hitting positive reviews across the board. There’s also the choice of one of the variation of the Dodge Challengers, which means the Camaro has a narrow focus but can still take on the rest if you buy into its Camaro-esque qualities.